“A picture is worth a thousand words”. Practical solutions to problems encountered in the manufacturing process that demonstrate how we assist our customers’ factories to produce Right from the Start TM. 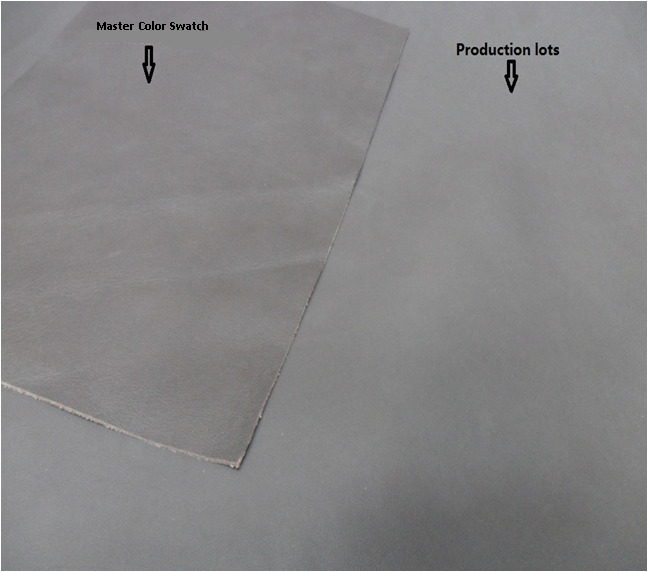 Problem: approximately 20,000 sqft of cowhide leather off color. Impactiva solution: we rejected the lot and got the tannery to rework it. The tannery agreed with our criteria and accepted to do the rework. Stay tuned for more Impactiva technical solutions to every day production problems.